i have been composing and recomposing posts over the past week. they swirl in my mind but nothing seems fitting enough to push the birth announcement of our newest farm baby elowyn pearl smith down the page. what my friends could be more interesting or compelling than a bugtussle babe? alas, it has been a week. a week of sleepless beauty for my buddies in bugtussle. a week of cuddling and greeting the world for their 4th child and a week of farm life for each of us. so, i will write and move the image of the newborn farm babe down the page a notch. here in the hollow we are wrapping up, the garlic planting, the last great farm task of the season, is near complete. the field crops are winding down and the high tunnels are full of hope for late season bounty. i am spending the final moments in my dye studio, a place born and treasured here in the 2015 season. 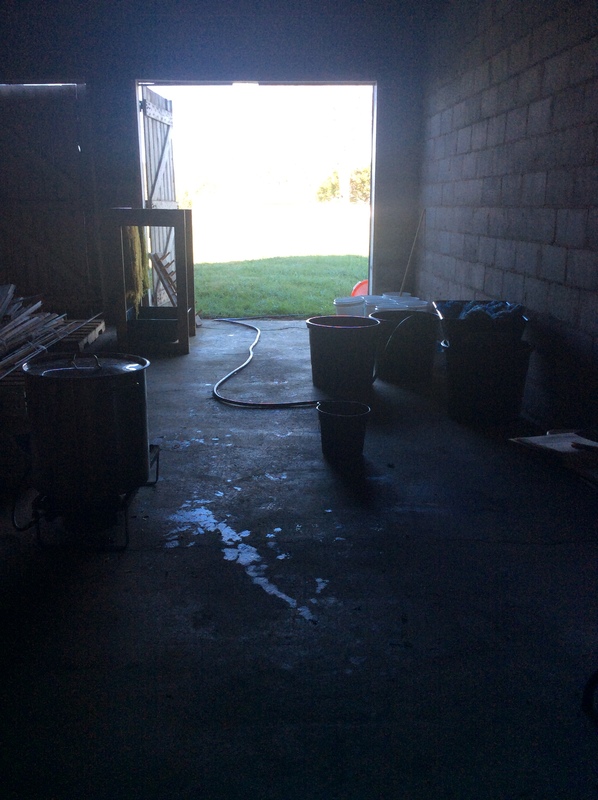 a spot that welcomed our farm’s first ever indigo dyeing workshop, and a nook that i have sought day after day as i tried to develop a new farm enterprise. 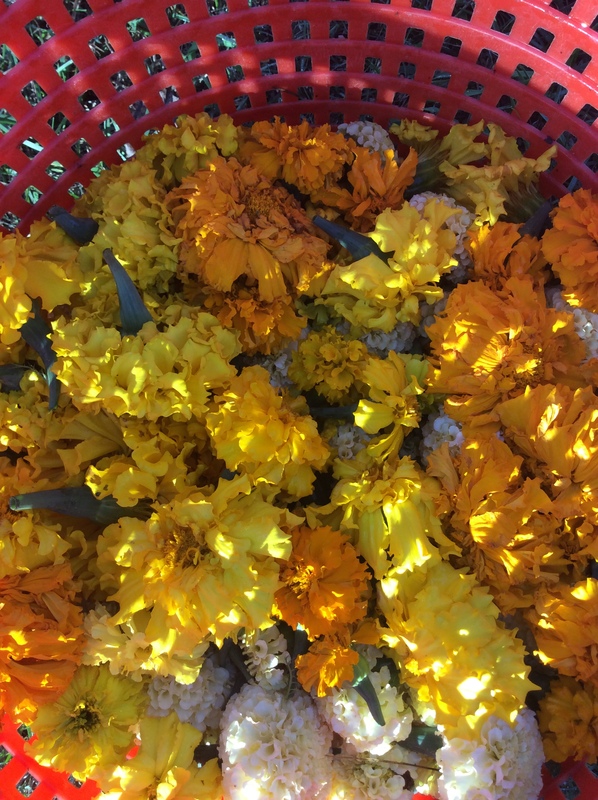 the japanese indigo is setting seed, the goldenrod is passed, and now i am playing with the delightful marigolds: strong in scent and offering a deep golden yellow. it has been a great year full of life and color. 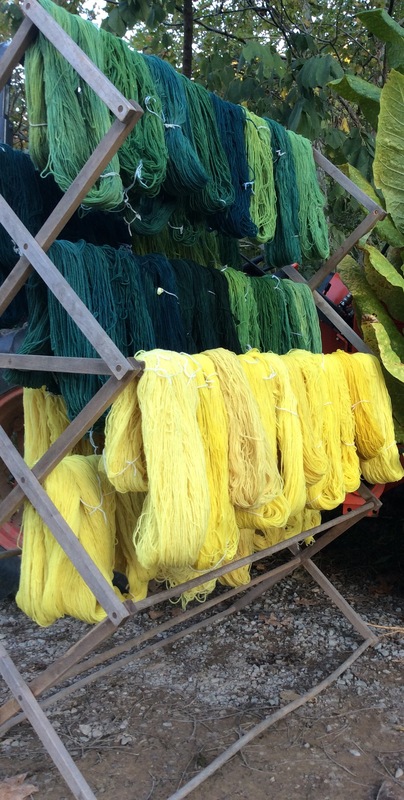 a few more dye vats and i will close the studio for the season and prepare in earnest to attend our first ever fiber show SAFF in the meantime, a few more thousand garlic cloves beckon so off i head. a good end of season indeed. This entry was posted in robin's posts and tagged children, friends, goldenrod, japanese indigo, love, marigod, natural dyeing, wool by robin. Bookmark the permalink.